The R1C1 wireless close-up Speedlight system is an exceptional tool for those wishing to dramatically improve the quality of their close-range photography. 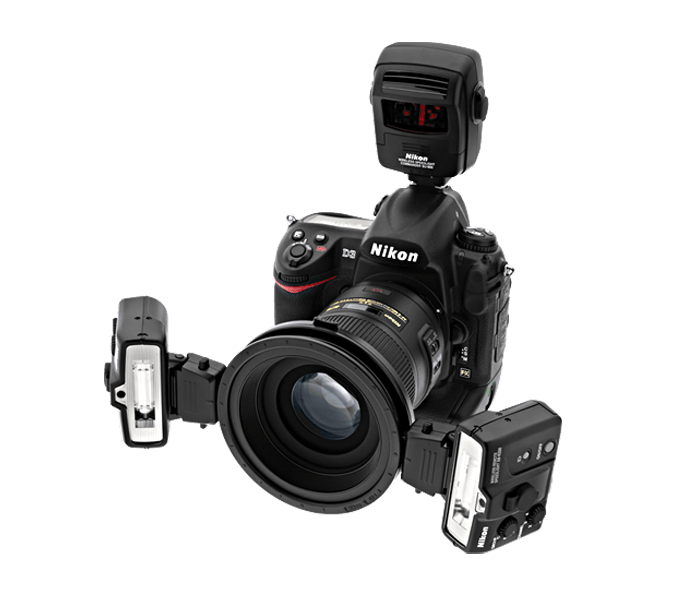 The system enables superb close-up lighting control with exceptional flexibility and innovative options when used with the Nikon Creative Lighting System or compatible SLRs without a built-in flash. Nikon's R1C1 wireless close-up Speedlight system let’s you get the most out of close-up, micro and general flash photography by providing flexible, even light to your subjects with the convenience of wireless control. The system includes two SB-R200 Speedlights and the SU-800 Wireless Speedlight Commander to provide additional functionality with SB-910, SB-900, SB-800, SB700, SB-600 and SB-500 Speedlights. With the R1C1 Speedlight System, producing desired close-up lighting effects is straightforward and uncomplicated. Up to three remote groups and four channels consisting of two SB-R200 wireless remote Speedlights can be arranged to enable creative lighting from the left, right, above or below subject. Settings are easily made and confirmed on the SU-800 Wireless Speedlight Commander's LCD panel from the camera's position. The included SB-R200 Wireless Remote Speedlights can be tilted up to 60 degrees to accommodate lenses with short working distances. The system’s SX-1 master attachment ring accommodates up to eight SB-R200 Speedlights (off camera) and up to four (on camera). SB-910, SB-900, SB-800, SB-700, SB-600 and/or SB-500 Speedlights can be combined and controlled within a lighting scheme for additional creative lighting effects.